Earlier this week, we took a look at Outdoor Research's newer warm weather layering options, the Women's Tantrum Hooded Jacket, which I got to test as part of the company's #ORInsightLab program. For the Lab, our job is to share gear feedback in specific categories for Outdoor Research. In this piece, we'll take a look at the Women's Helium II Jacket, an evolved version of the original Helium. It was a top pick award dinner for Outdoor Gear Lab, was named among the best waterproof trail running jackets in Runners World, and was touted as a must-have layer by Canoe and Kayak Magazine. Needless to say, it had a lot to live up to! 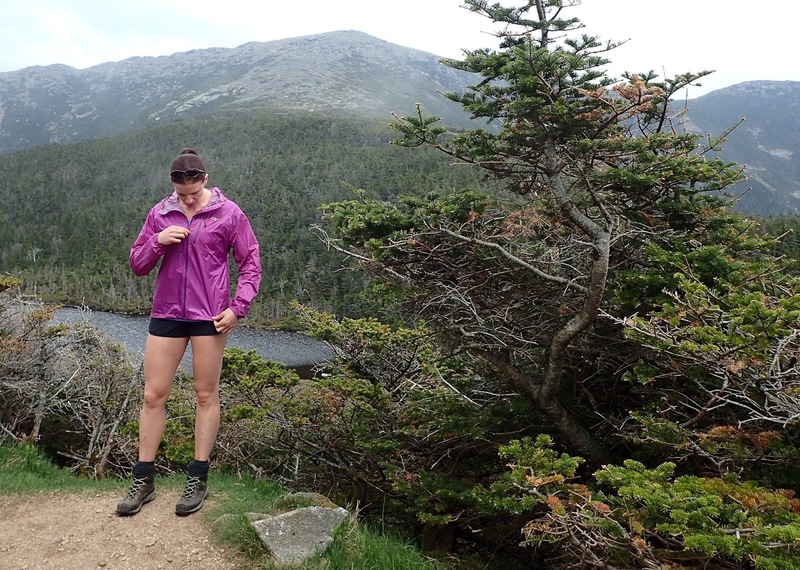 I tested the Helium II to see how it performed as a layer when worn for some of my favorite outdoor pursuits - hiking, backpacking, and trail running. The verdict? It's ideal to keep handy on trail runs and hikes in case of a random rain storm in warm weather, but I'd love to see a few modifications. The Helium II is constructed with Pertex Shield, which essentially represents a combination of technically advanced face fabrics and a breathable microporous waterproof coating. 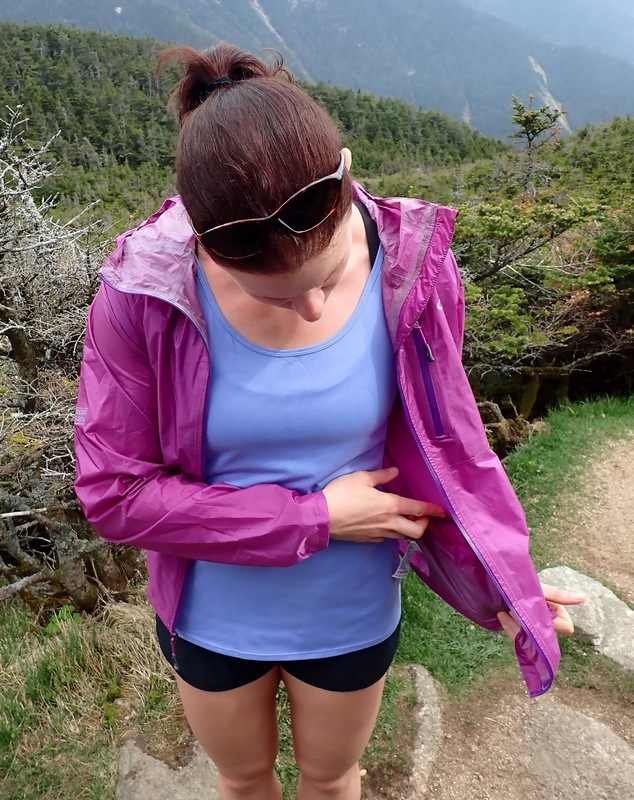 This combination makes the jacket 100% waterproof, but super lightweight and packable. The Aquaguard zippers also prevent water from getting in, and the 30D (denier) fabric prevents the jacket from ripping easily. It also weighs in at 6.4 oz, which, for reference, is the weight of a moderately sized portion of steak. Outdoor Research lists the Helium II as a standard fit jacket, and I agree. I'm 5'8" tall and around 160 pounds these days, and the medium fit me just fine. There's enough room for a long sleeved baselayer underneath, but I wouldn't be able to wear it over a heavier weight top like a fleece. That's fine; I'd save it for warm weather anyway, even though Canoe and Kayak Magazine mentioned it as a winter weather piece. As per usual, the sleeves could be about an inch longer, but if your wingspan is under six feet, they'll likely fit better. The elastic cuffs are tight, but not too tight, and they're important given the Helium II is, at its simplest, a rain jacket; there's nothing worse than having water go up your sleeves. The fabric reminds me of how a tent fly feels - lightweight and slightly slippery. The Helium II only has one pocket, a chest pocket, and that's my biggest issue with it overall. As a female outdoorist, I'll generally always choose sleeve pockets, waist pockets, or lumbar pockets because chest pockets just aren't...friendly to my anatomy. When I'm wearing a jacket running in particular, there isn't a chance I'd be comfortable keeping something in a chest pocket. I'd love to see the women's specific version with a pocket in a different location. The Helium II packs into an internal pocket, but I prefer the lumbar pocket location and functionality on the Tantrum. The Helium's attached adjustable hood is a nice-to-have for hiking, but if it's really raining I'm running, and I don't find running with a hood on particularly comfortable. The jacket is also so lightweight that the hood blows off unless I tighten it down, and when I'm not wearing the hood, the stiff zippers make the collar stand up awkwardly on one side, but not the other. With an MSRP of $159, for me, buying the Helium II at that price would be tough for me to swallow, but with some research, it'll likely be possible to find it cheaper. 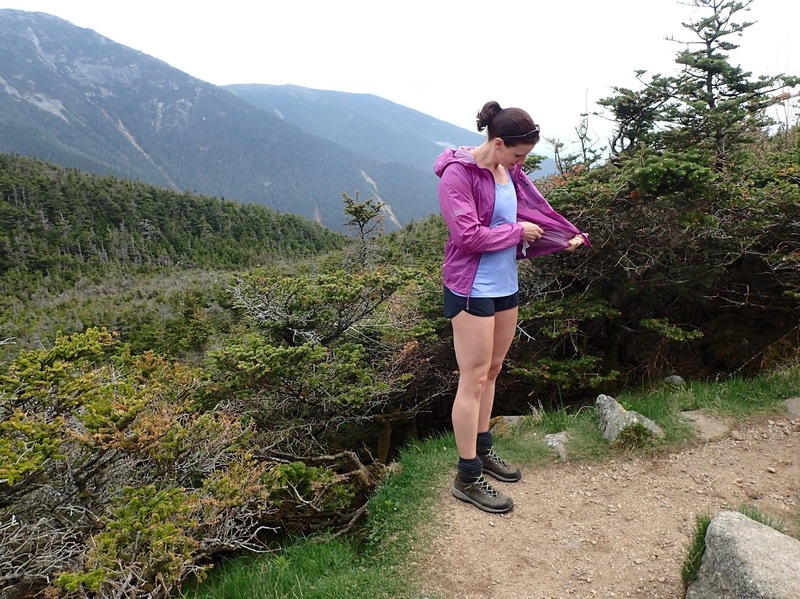 Take a look at how Outdoor Research ambassador Beth Rodden uses the Helium II to learn more. Whadya think, trail runners, climbers, backpackers, and hikers, would this jacket work for you? What questions do you have? We'd love to hear from you, as would the Outdoor Research team!